We don't really want to go, but real life at home has to start again, so we're off. 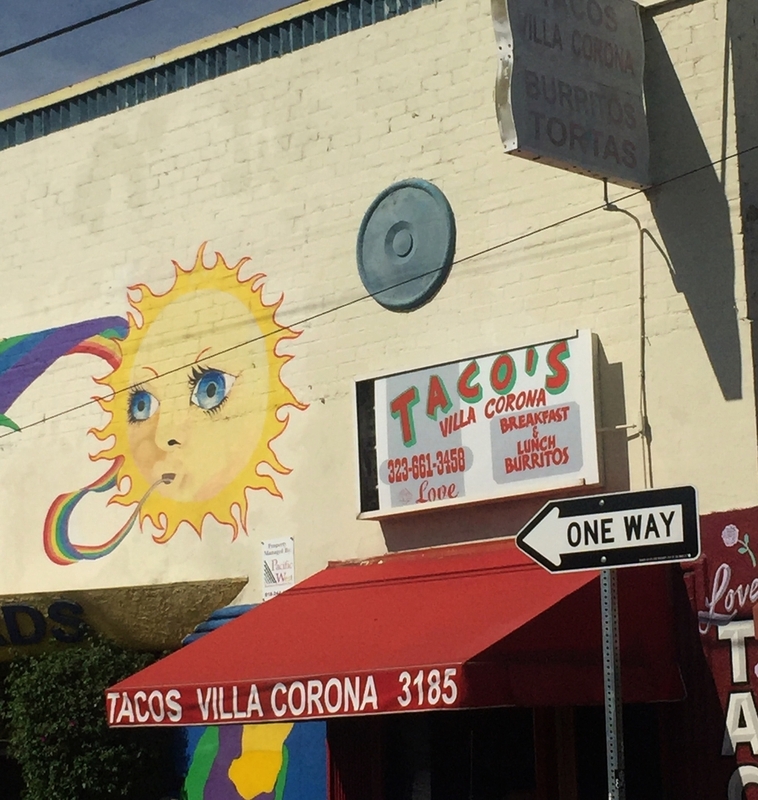 We decided we needed a redo on Tacos Villa Corona, the walk-up and take-out only spot in Atwater. There was a busy little lineup even at 9:00 on a Saturday morning, but we waited the half hour for our potato tacos, largely thanks to to the chatty charm of the proprietor's son who takes the orders at the window. Simple and fresh, the tacos are prepared and then baked again once they are loaded up. The fact that they are only $1 each speaks to a sincerely unpretentious presence in this changing neighborhood. Our drive north took us to Winters, California, just up from San Fransisco. 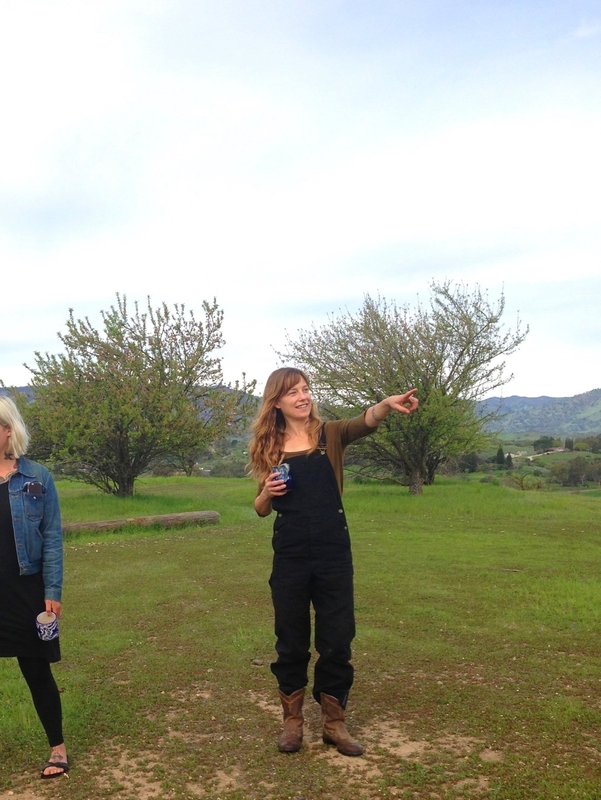 Our friends Andrea and Keegan live in a walnut orchard with Shmee, who is Ladydog's brother. The rolling hills and distant view of the Sierras are a tartan of almond, olive and walnut farms and a palm tree stands with a redwood just in front of the house. Often eclipsed by the Pacific Ocean, this setting is very much the California dream, and the pinnacle of countryside fantasy land. Andrea fixed up a veggie sausage roast and a salad for our supper and we ate by the fire pit and drank a couple of micheladas and caught up. This is a hard place to leave!